The Grand Duchess Anastasia, youngest of the daughters of Tsar Nicholas, has always been a mysterious figure with the uncertainty surrounding her fate at Ekaterinburg where the rest of the Imperial family were killed. Hubbard has used a diary form to tell Anastasia’s story from 1911 to 1918. The rather unreal world of the Imperial family with its complete isolation from the life of ordinary people is gradually painted through Anastasia’s daily entries. 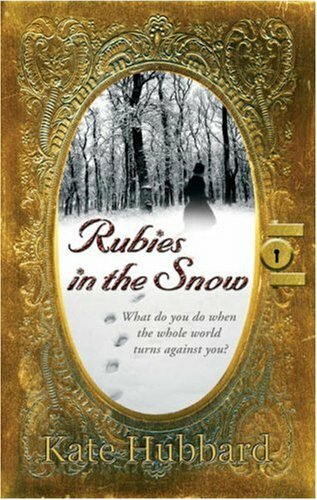 The outbreak of the First World War and the murder of Rasputin, ‘Our Friend’, followed by her father’s abdication and the imprisonment of the family are discussed through the entries as she grows up and the reader begins to realise, as she must have done, the seriousness of the situation and how helpless she is. There are odd inconsistencies; for example would a black servant really have been able to go back to America for a holiday on his pay? Also would a soldier really have discussed the political situation with her while he convalesced? The lack of a period feel to the language, which is modern and grates from time to time, does detract from the story, as does the absence of a map, my cri du coeur about historical fiction! How else is the reader to understand the enormity of the journey taken across Russia to Ekaterinburg? This is however a very readable story with a well-designed cover which imparts much of twentieth-century history as it was seen through the eyes of a girl destined for a tragic end.